See all the top sights of Rome including the Vatican Museums, Colosseum and historic center (Pantheon, Trevi Fountain & Piazza Navona). Also includes self-guided visit to St. Peter's Basilica. With a private transfer from the historic center to the Vatican, we've taken care of all the details for a fun, hassle-free day. Enjoy skip the line entrance at all the sites you visit (Vatican, Colosseum, St Peter's Basilica). 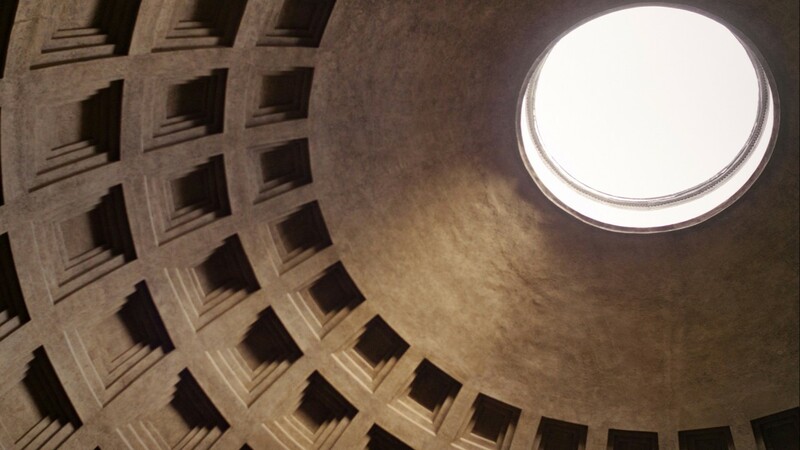 Explore the Colosseum with an expert guide - and no lines! 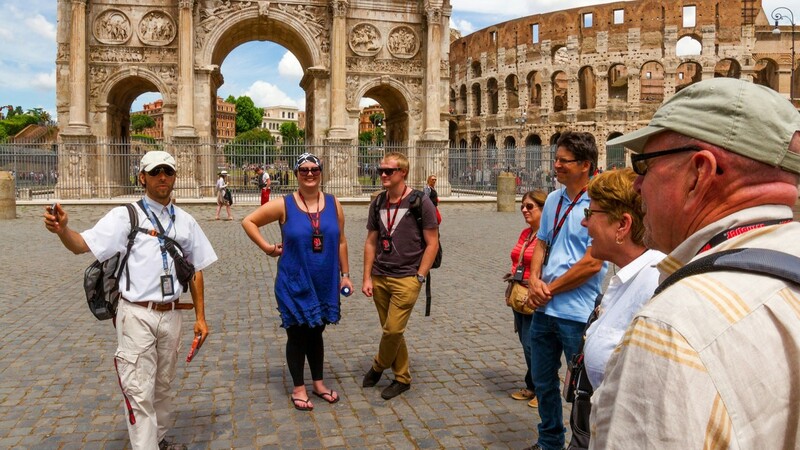 Your Rome in a day tour begins at an overlook of the Roman Forum, where your expert guide will introduce you to the ancient city and point out various attractions that you will visit later. 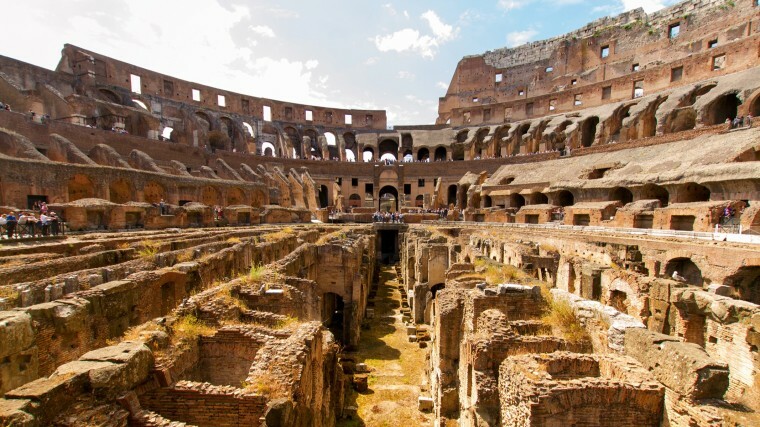 Using skip the line Colosseum tickets, you'll then step into the iconic amphitheater for a full Colosseum tour including all the general access areas on the first and second tiers. Since there are never more than 15 people in the group this is a unique opportunity to interact with your guide and learn about this iconic structure. 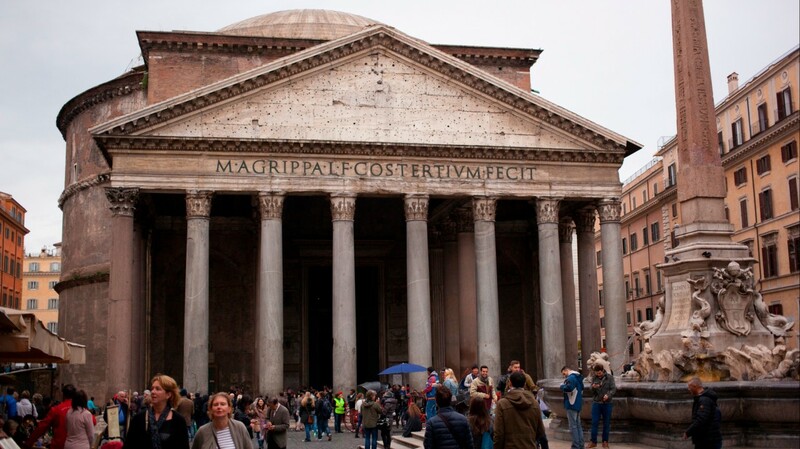 The next part of your Rome in a day tour is the walking tour of the historical center of the city including a stop at the Pantheon, a 1,900-year-old temple that is the inspiration for buildings around the world, including the U.S. Capitol. You’ll also explore the other side of Rome, the Rome of Audrey Hepburn and Federico Fellini, piazzas and fountains, gelato and photo ops. 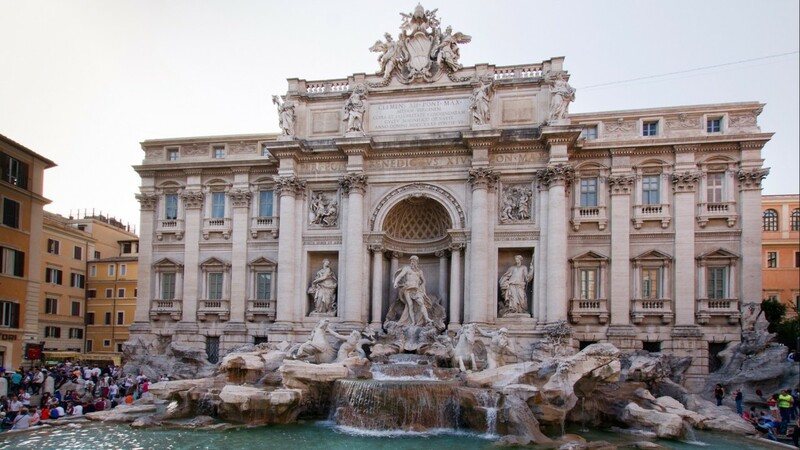 You’ll see the world-famous Trevi Fountain, where Fellini’s lovers cavorted in ‘La Dolce Vita’ and beautiful Piazza Navona, home to Bernini's Fountain of Four Rivers. As an extra bonus, your walking tour also features a refreshing Italian gelato to eat as we stroll, just as the Italians do. Don’t resist; after all, it’s on us! Consider it part of your welcome to Rome. You can't say you've seen Rome in a day until you take a Vatican Museums tour. With skip the line Vatican tickets, you'll avoid the extremely long wait to enter and get right into the highlights of the collection with your guide. Our specially-designed itinerary picks and chooses the very best of the nine miles of art and antiquities to make sure you are engaged and entertained throughout, while not missing any of the gems of the collection, like the Apollo Belvedere, Laocoon and His Sons, and Raphael Rooms. You’ll end your Rome in a Day experience in the Sistine Chapel. Afterward, you can choose between spending more time in the Vatican Museums or using a special entrance into St. Peter's Basilica that will allow you to skip the lines and enjoy a self-guided visit to the greatest church in Christendom. If you only have a short period of time to see the absolute best that Rome has to offer, our Rome in a Day tour is the perfect way to maximize your time and experience the wonders of the city in the company of an expert local guide and small group of fellow travelers. Davide was an amazing tour guide. Made the tour very interesting and enjoyable. Had great suggestions and really went out of his way to make sure we saw the best of Rome and enjoyed our time. Davide was a fantastic guide. He was very knowledgeable and has a great sense of humour. He kept the group engaged throughout the entire day. Fabio was extremely knowledgeable and had a wonderful laid back demeanor with a great sense of humor. He was easy to listen to/learn from. My husband and I enjoyed this tour. Rosella was a great tour guide. She was very informative and told us many interesting facts about Rome. I would definitely recommend this tour. St. Peter's Basilica and the Sistine Chapel are holy places and thus, the attire must be appropriate for the visit. Both men and women are asked to wear clothing that covers at least the shoulders and knees. Walks of Italy cannot be held responsible for denied entry due to improper dress. Please note that, since the chapel is at the end of the Vatican visit, it is sufficient to bring extra coverings with you and put them on before our entrance to the Vatican. Your tour will start at the Colosseum and end in St. Peter's Basilica where you will have skip the line entrance to get inside, though there is no guided explanation inside the church. IMPORTANT: While the Vatican Museums are equipped with elevators for wheelchair access, they are not conveniently located on the regular tour route and only give access to specific sections of the Museums. Please contact us at info@walksofitaly.com if you have walking disabilities or if you use a wheelchair. We can then work out a suitable alternative.